Sgt. Warren Childers, son of Mr. and Mrs. Frank Childers, attended Frederick High School, Class of 1941; husband of the former Mildred Hinson. 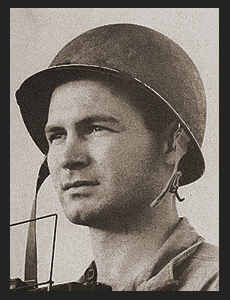 Entered the Army in 1943, trained in Long Island City N.Y.; served in Hawaii, Saipan, Guam, the Philippines, Japan. Awarded Good Conduct Medal, AM. Theatre Ribbon, Asiatic Pacific Ribbon, Victory Ribbon, Philippine Liberation Ribbon. Warren has written about his experiences and they are available here.